After their promising debut 'Robbers & Cowards' back in 2006 Cold War Kids' second album was greeted with a lot less excitement. So for their new album the guys from Long Beach California hired an external producer. And not just any one but Jacquire King who worked with Modest Mouse, Kings of Leon, Tom Waits and Norah Jones a.o. in the past. 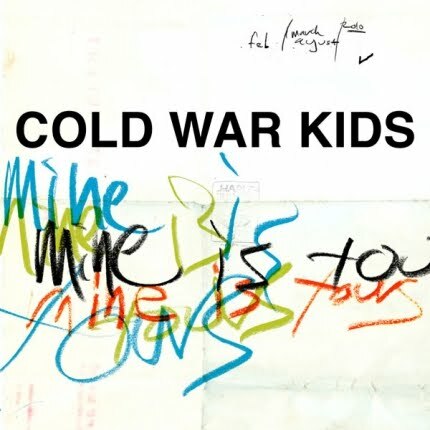 Cold War Kids seem to be going for gold this time. The production certainly sounds a lot more polished and smooth because of that but unfortunately at the expense of their sound. Where earlier work sounded perky, nice indie rock with some bluesy influences, they had to make quite some concessions in this case. It all sounds a lot more bloated and pretentious and misses subtlety. The characteristic tantalizing and occasionally panicked vocals of Nathan Willett spin out of control way too much now and then like in 'Sensitive Kid'. In the first single 'Louder Than Ever' they even become whiny in the end. On top of that the songs just aren't very original. You get the feeling that you've heard it all before. Right from the album's opener and title track you'll hear traces of Kings of Leon as is the case for more songs. With this producer this probably isn't a coincidence. Where they were sometimes digging deep in the past things stay pretty cliched and superficial this time. Sometimes the record seems to revive like in 'Cold Toes On The Cold Floor' which eventually sinks back into endless repetitions. The record simply lacks really good songs like the great 'Hang Me Up To Dry' of their debut. It may be clear that the Cold War Kids have pushed it too far this time. Their intentions to force a break through to a wider audience are clear. But with these songs it will be hard to accomplish since few people will be convinced or even fascinated by this record. The band had to pay a too high a price for that: Cold War Kids doesn't sound like themselves anymore but above all like a cheap copy of other bands instead.